Volume 3, Edition 31	 Trouble loading? View this email online. 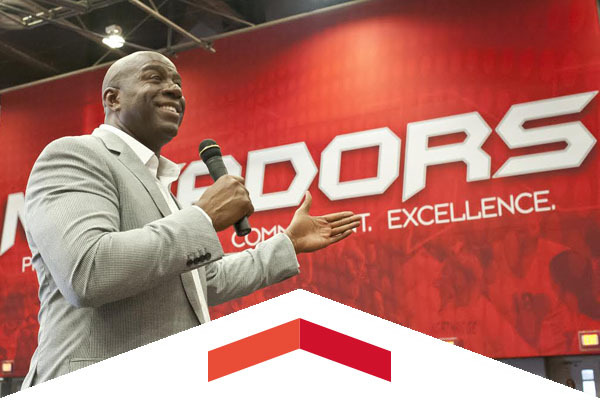 There is only one Earvin “Magic” Johnson, and the Laker icon and successful businessman presented the Big Lecture before a packed house at The Matadome on April 4, inspiring students and the CSUN community with a collection of stories from his basketball days and his business career. Aspiring writers and poets at CSUN have the opportunity to learn from the ultimate mentor this spring. 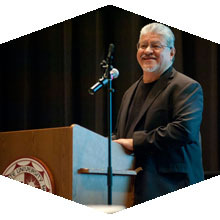 None other than the Poet Laureate of Los Angeles, Luis J. Rodriguez, a lifelong Angeleno and self-proclaimed “Valley Guy,” is serving as scholar-in-residence this semester and teaching a literature course in the Department of Chicana/o Studies. Because of their innovative thinking, 12 CSUN students participated in the Clinton Global Initiative University conference, April 1-3 at the University of California, Berkeley. One of the students, Frida Herrera, had her project “Let’s Grow Healthy” chosen as one of the winners of the Project Resolution Social Venture Challenge. An exhibition by CSUN graduate and undergraduate students in all media of the visual arts. Sat, April 9, 1 p.m. The Matadors open Big West play against the 49ers, and at the Saturday contest a limited number of fans receive the Brick-by-Brick T-shirt free. Sun, April 10, 3 p.m.
LA Opera presents a free concert featuring the renowned LA Opera Chorus led by Resident Conductor Grant Gershon. Dianne Philibosian recently retired from CSUN after 42 years of service in various capacities, including as director of the Institute for Community Health and Wellbeing and associate dean of the College of Health and Human Development. She has served as faculty in four different departments and two different colleges. In order to continuously offer engaging programming to those we serve, or to purchase goods and services when needed, we need to have an understanding of the policies and processes that govern these expenses. Participants in this workshop will learn about purchasing options, the procurement matrix as well as the hospitality expense policy and State Trust and Lottery funding. If you’re considering the option of carrying or employing an aerosol defense spray, attend this workshop to learn the civil and criminal legalities of possessing such sprays, their psychological and physiological effects, and how to decontaminate, store, and dispose of them. Participants will have the opportunity to practice with an inert canister and purchase their own personal canister at the end of the workshop. 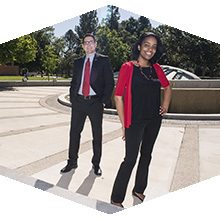 The Office of Student Involvement and Development is accepting nominations in the category of Personal Achievement from faculty, staff and administrators for undergraduate and graduate students. Young people in grades 1-8 are invited to participate in the event that will feature clinics led by CSUN student-athletes and coaches, who will blend lessons of sports and life skills. The day culminates with the kids receiving free admission to the 1 p.m. baseball game against Long Beach State. CSUN’s Student-Athlete Advisory Committee (SAAC) will collect clothing for all sizes and ages at select home games during the month of April, benefiting the Good Shepherd Shelter. At ticketed events, fans who bring donations will receive free admission.